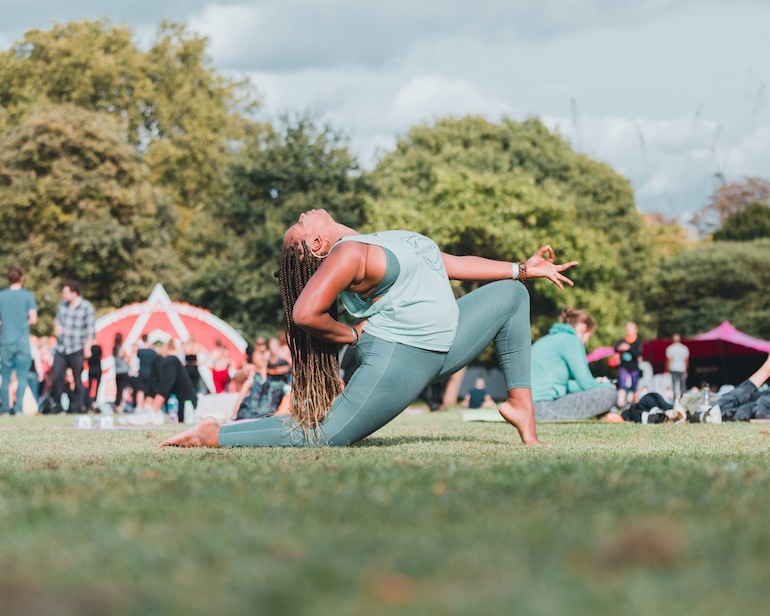 As a wannabe yogi and all-round rambler of spiritual paths, I was beyond excited when I was offered the opportunity to attend this year’s Wanderlust UK festival, held in Battersea park in South West London. Partnered with Adidas, this mindful event pledged to be a festival like no other. It promised to be a day of soul searching, connecting with the mental and physical self and of course a vast array of vegan vendors to suit every possible craving. 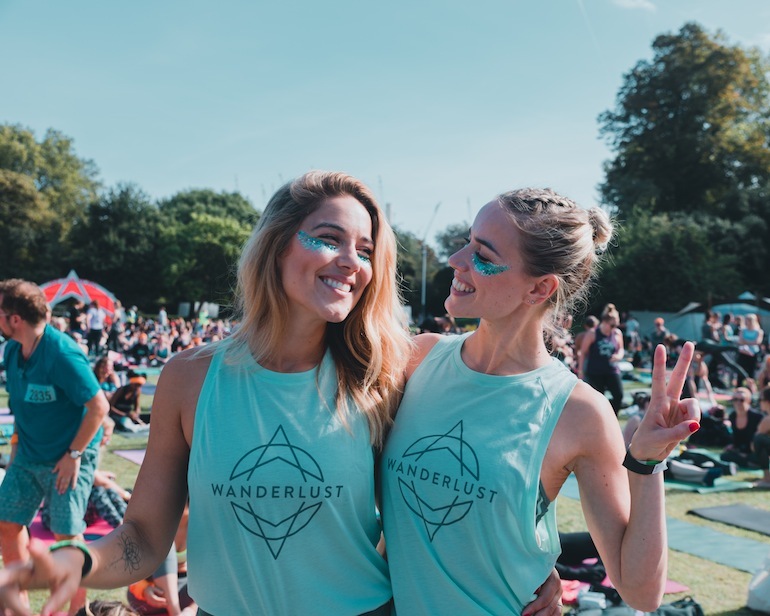 Wanderlust is a B Cert corporate global yoga lifestyle company founded in the US, and it is on a mission to help people around the world find their true north and to cultivate a best self through their Wanderlust 108 day festivals. They stand by seven pillars for a mindful and inspired life: the principles of promoting practice, fostering a sense of community, eating well, acting sustainably, advancing the arts, doing good and, finally, raising awareness of issues such as environmental damage. 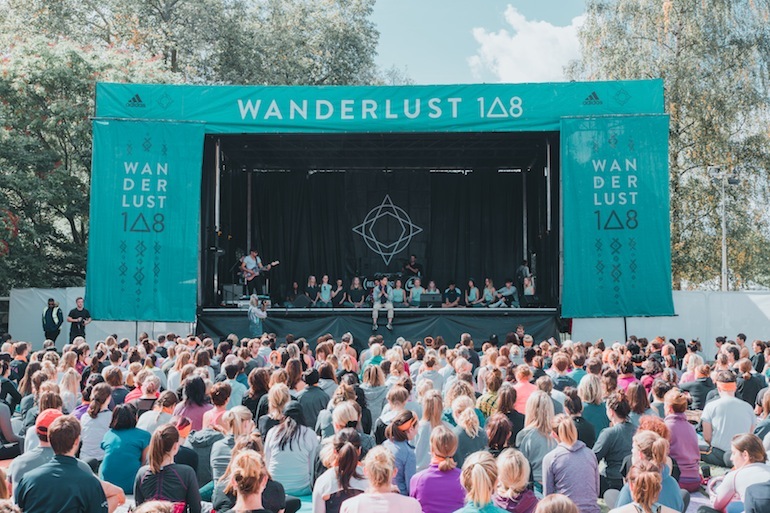 Wanderlust 108 is a day in which these elements are all explored to open the door for every individual to begin their journey to finding their true north in an educational, fun and blissful environment in venues across the globe. The day started bright and early (7.30am to be precise), with a bit of a warm-up and sunrise celebration, where people were invited to join in on a silent disco or simply stretch in preparation for the first part of the ‘mindful triathlon’ which was the core of the festival. 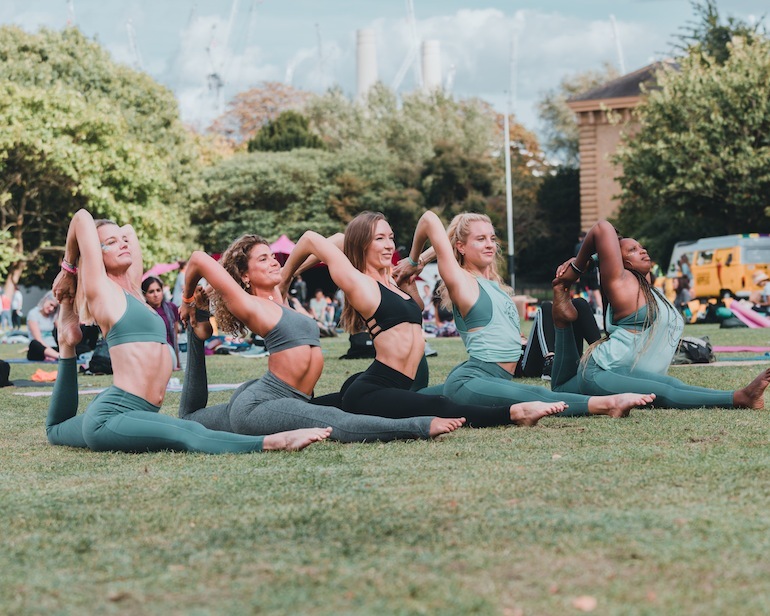 Kicking off with a 5k run around the park, attendees were then invited for 75 minutes of blissful and invigorating yoga at the main stage, with talented and popular international yogis Adriene Mishler and Julie Montagu, with Goldie on the decks. 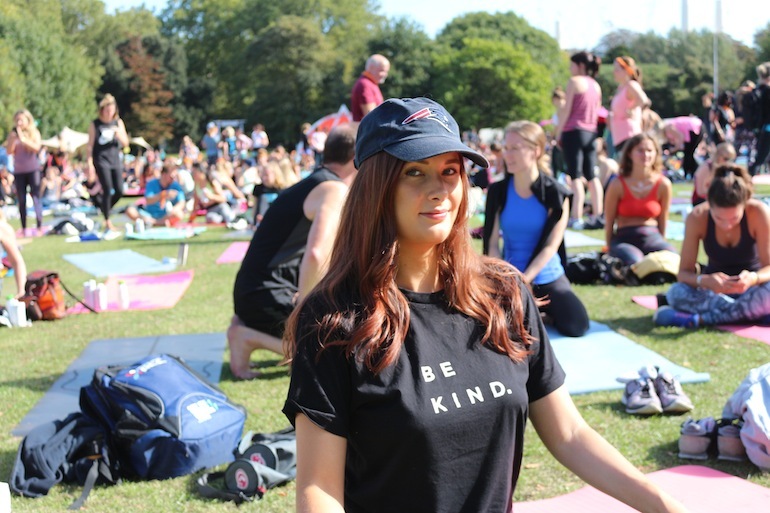 The third instalment of the triathlon consisted of an almost surreal spiritual moment, where we all gathered close and indulged in guided mediation led by Michael James Wong. After feeling blissfully calm and stretched to the point of breaking, it was the perfect time to explore the rest of the festival, which was a beautiful array of workshops, classes and – of course – food stands. The wide choice of extra activities in The Uncommons ranged from acro-yoga to sound healing, but with 117 classes to choose from it was impossible not to find something you loved, not to mention the vast array of plant-based food on offer throughout the site. I was really excited to try the Ayurvedic food cultivated by OM NOM. 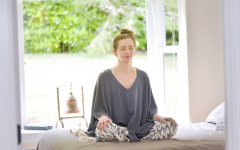 Having previously joined a workshop in the Ayurvedic Garden, I was hot on the knowledge of my dosha and ready to taste some of their fantastic vegan food – and it did not disappoint. Fresh, vibrant and packed full of incredible flavour, it was truly a gastronomic experience. I practically demolished the biodegradable plate, and washed it all down with an Ayurvedic mocktail; it was a blissful refuel to say the least. 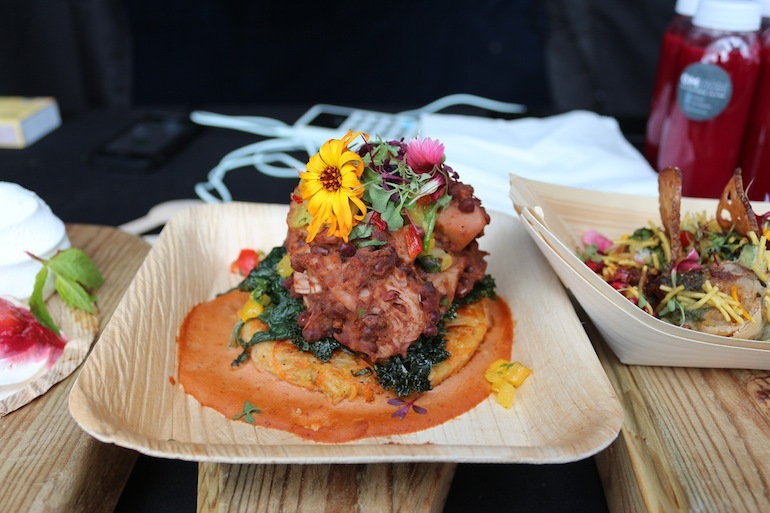 As well as OMNOM, local and organic food vendors including The True North Café presented by Pollen + Grace offered a vast array of delights, ranging from the signature picnic lunch, the infamous Wanderbowl, and the Pollen + Grace super square, to name a few. 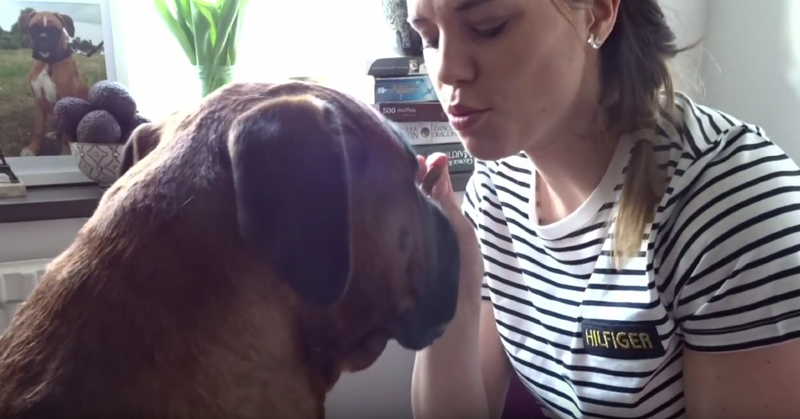 It wasn’t all about eating the delicious treats on offer. ‘Find Your True Fork’ presented by California Walnuts provided festival-goers with the opportunity to partake in classes and presentations about healthy eating, whilst learning new cooking techniques and products. Jasmine Hemsley, author of new book East by West, was among speakers and talked about the Ayurvedic philosophy of eating to nourish, sustain and repair. After satisfying both mind and body (and stomach, let’s be honest), I took a blissful wander around the Kula Marketplace which showcased 60 local craft vendors including jewellery, wellness products and active wear as far as the eye could see. As well as this, a wonderful retail experience in the Adidas x Wanderlust store (housed in a 12m geodesic dome) provided the opportunity to grab a complimentary triathlon tee and peruse some of the best activewear Adidas has to offer. Overall, Wanderlust 108 was a truly wonderful, spiritual day out. I have never felt more content, calm and clean after leaving a festival and I already can’t wait for next year. Wanderlust offers festivals globally, so there are multiple opportunities to find your true north around the world. You can experience the next Wanderlust 108 festival in Barcelona on October 21st. Tickets are available here. Vote for us as Best Vegan Magazine in the 2018 VegFest Awards!